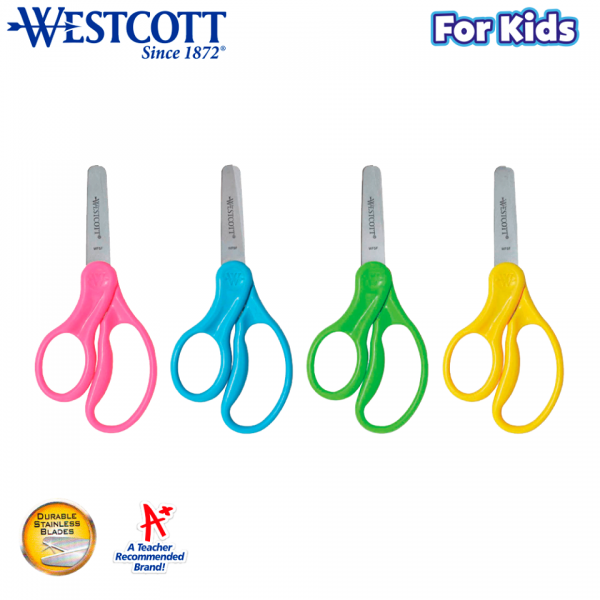 Westcott For Kids Lefty Scissors specially designed for a child’s hand. 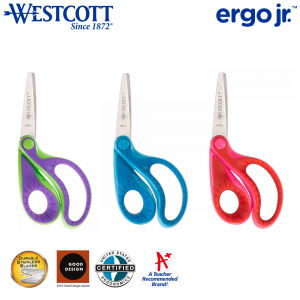 Molded, asymmetrical handles allow for comfortable left handed use. 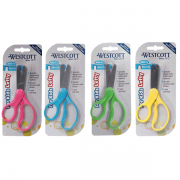 Easily cut through paper, fabric, string and other craft materials. Available in assorted colors (pink blue green yellow). 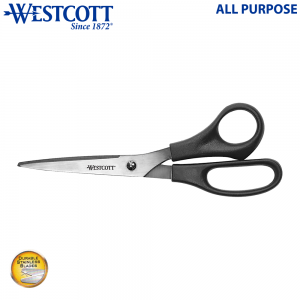 Westcott Titanium Bonded Non-Stick 7″ Straight Scissors. 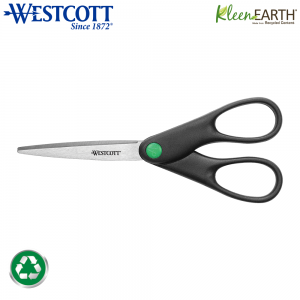 The very latest technology from Westcott combines Titanium with a unique Non-Stick coating that is permanently bonded to the blades. The result – blades stay sharper longer and resist adhesives from tapes and glues…the perfect combination! Ideal for the mail room, art room & scrap booking. 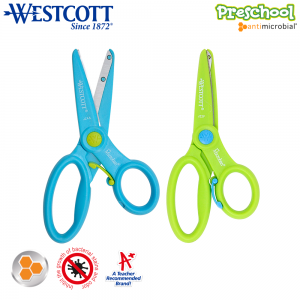 *Versus standard scissors. *Data provided by United States Ergonomics 2016. Great for kids learning to cut for the first time. The spring assisted handles are infused with Microban protection. 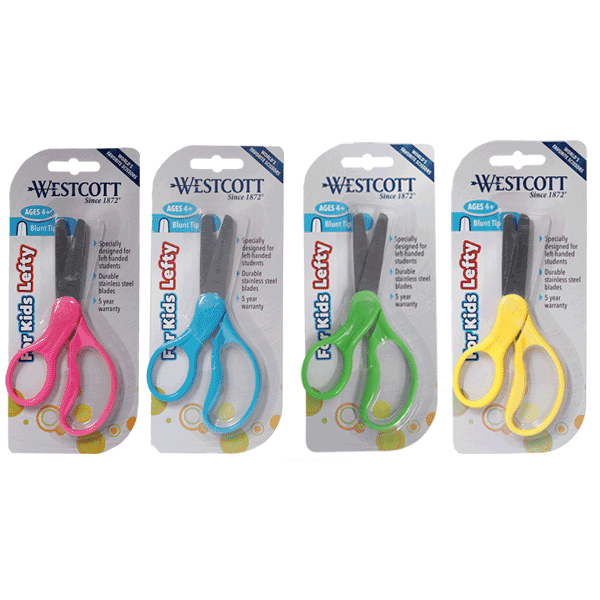 Safety blades to prevent cutting of fingers. 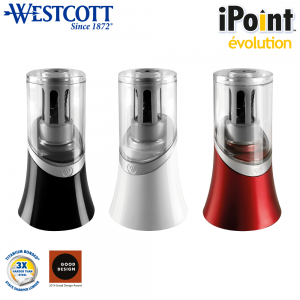 The Westcott iPoint Evolution battery-operated pencil sharpener features a space-saving vertical design, titanium-bonded blades, and an auto-stop feature.